There are various types of dental clinic Stirling. But how would you know what type of dentist in Stirling to visit? It usually depends on the reason. If you are looking to have your teeth whitened, you should go see a cosmetic dentist Stirling. They would be able to whiten your teeth effectively and safely. Another reason to go to a cosmetic dentist Stirling is when you want to improve the appearance of your teeth. They can do that by using veneers. Veneers or laminates are usually used when teeth are discoloured or when there is a gap between teeth. If you are looking for an emergency dentist Stirling, who would perform root canal therapy, your best bet would be to go to an endodontist. An endodontist is a dental specialist who studied the dental pulp extensively. Compared to a general dentist who performs root canal therapy, an endodontist would have greater experience with dealing with those cases. The dentist that you should see for gum problems is called a periodontist. The periodontist treats any gum-related disease. A good periodontist is a dentist in Stirling that can also put dental implants on. If you are in need of an emergency dentist Stirling because you lost a tooth due to gum disease, you should go to a periodontist for specialized treatment. One of the most common dental clinic Stirling that pre-teens and teens frequent, is an orthodontist’s clinic. An orthodontist underwent training to treat people with teeth and bite irregularities. It is important to go to a qualified orthodontist so that you can be sure that your treatment plan will not do you harm. Others have complained about having TMD due to incorrect process of getting braces. For your child’s emergency dentist Stirling needs, you can opt to go to a pediatric dentist. A pediatric dentist can take care of your baby’s teeth up until they grow to be teenagers. A pediatric dentist is also a general dentist but caters specifically to children. If you are looking for someone who can restore your teeth, then you should get in touch with a prosthodontist. A prosthodontist underwent training for installing and fixing crowns, bridges, and dentures. They are also qualified to perform reconstructive surgery for patients who have oral cancer. Impacted teeth may mean that you may need to visit an oral and maxillofacial surgeon. Oral and maxillofacial surgeons have attended further training to treat diseases and injuries of the mouth and its surrounding area. If you are unsure what type of dental clinic Stirling to visit, you can visit your general or family dentist in Stirling. 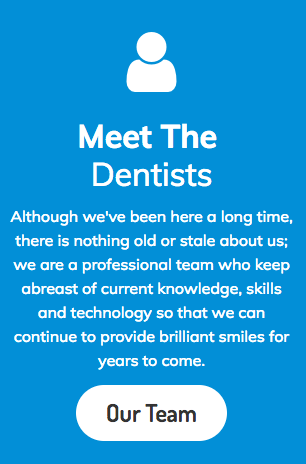 They can then refer you to a cosmetic dentist Stirling or any type of dental specialist that you need.